The Cité du Vin succeeds in making a wine museum interesting for young and old alike. 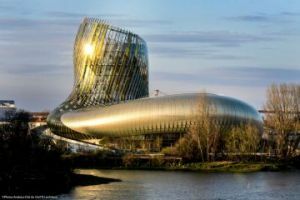 This new landmark of Bordeaux is also an architectural marvel and a place to taste wines from all over the world. Recently opened in Nogent-sur-Seine, the Camille Claudel museum traces the work and career of this sculptor. It also gives a glimpse of the late 19th century French sculpture. An important metallurgical centre since centuries, the Haute-Marne department now has a museum entirely devoted to this activity. Named Metallurgic Park it evokes both the past and the present.